Dextrose (glucose) has a high glycemic index and is a very fast sugar that is rapidly absorbed. Dextrose is known among bodybuilders and athletes because it triggers insulin rebound and contributes to the recovery of glycogen in muscle cells that is consumed by training. 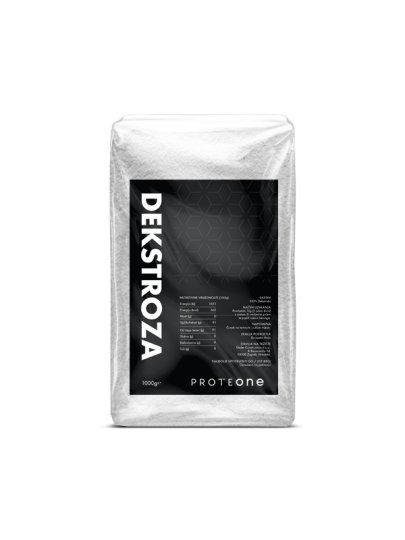 If we have in mind that the period after the training, especially the first few hours after the training, the most important - this time focusing only on the renewal of the energy reserve in the muscles - the role of dextrose can be very significant. Dextrose or glucose is the simplest and most important carbohydrate, it is a high-quality source of fast energy.